A Vegas Girl at Heart: 30 weeks. I'm huge! No, really. I cannot imagine what I'm going to look like in another 10 weeks. I weighed 164.5 when we conceived and now weigh 183.5. I'm afraid I'm going to be pushing 200 when I hit 40 weeks. Ahhhh! I started around the same weight as you and gained 30 pounds. So you are right on track for weight gain. Don't worry you will probably a good amount when you deliver and soon after. Thanks Kim! Hope everything is going well with your own little one! I gained 30 pounds also. 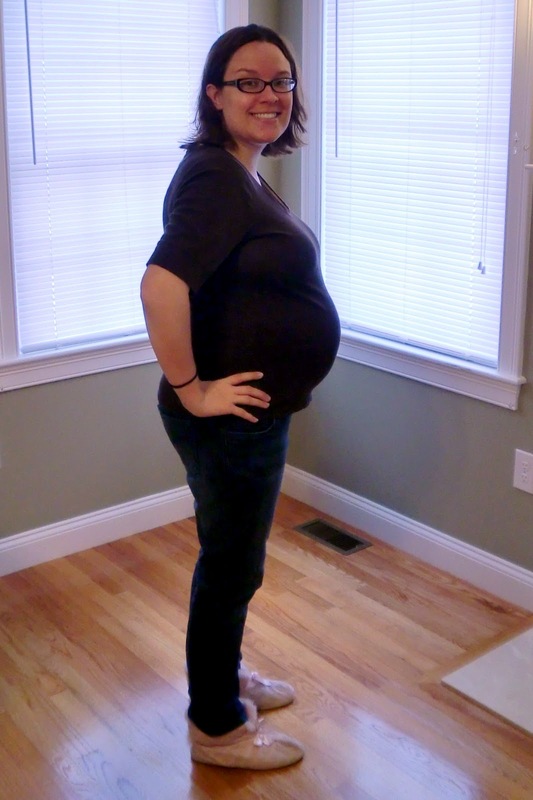 You look great Melissa - you have a healthy growing boy in there. You are all belly!